Are you one of the growing number of homeowners looking to remodel their homes to suit their changing needs instead of selling their current home and buying new? If so, you’ll soon learn that even small remodeling projects can cost hundreds or thousands of dollars. With hundreds or maybe thousands of dollars on the line, it’s crucial to find a professional home remodeler you can trust. Fortunately, STL Design and Build is here to help you out. We are among the leading and most trusted home remodeling companies in the region, thanks to our top-notch solutions, commitment to customer satisfaction and strong warranties. In this post, we share some excellent tips to help simplify the selection process and find the best contractor for your needs. Get recommendations. Word-of-mouth remains as one of the best ways to find trustworthy home remodeling contractors. If you have a friend or a relative who has had a good experience with one, start there. Another reliable way to research is by going online. Review sites like Angie’s List can help you find relevant information about contractors and allow you to differentiate reliable ones from those who fail to deliver on their promises. Look at credentials. Once you have a list of recommendations, start checking each contractor out. You can do this by visiting their website, making a phone call or even going to their local showroom. Make sure they have the appropriate licenses and insurance certificates as well as any recognition from well-known associations, such as the Better Business Bureau (BBB). Check references. After crossing out contractors without valid credentials, be sure to ask your prospective contractors for references. Reliable home improvement and window replacement companies like us are willing to present a list of references to clients like you to help with your screening process. This will allow you to talk with former clients about their experience with our company. You can also ask them to see the finished product yourself for a first-hand evaluation. 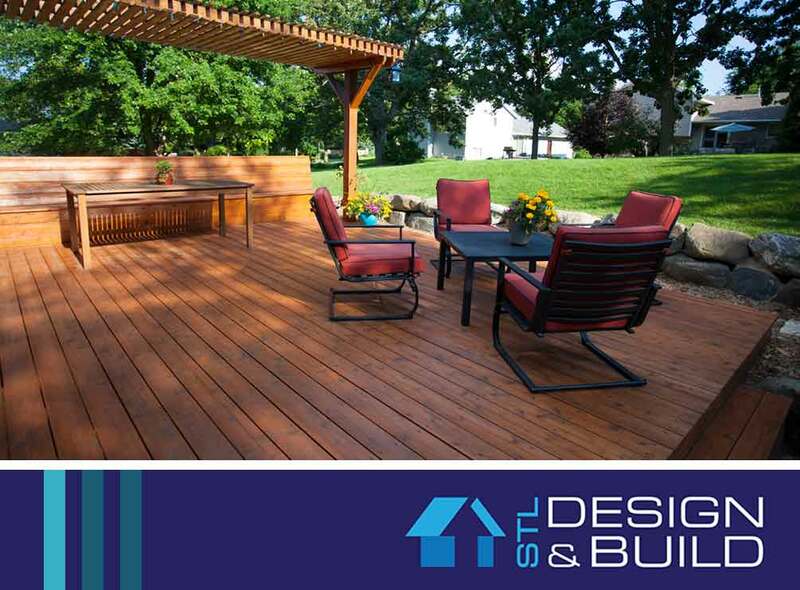 STL Design and Build can help ensure a hassle-free remodeling process that’s on schedule and within budget. We have the right licenses and insurance policies in place to ensure your absolute peace of mind. We are also recognized by some of the leading names and associations in the industry. Get in touch with us, and we’ll be happy to discuss your project in more detail. To get started, call us at (314) 736-5800 today!